Announced on Thursday through the Apple Developer pages, the notification from Apple reads "You can now display up to 10 screenshots on your product page," in order to "show customers more of your app's experience." The new 10-image limit is on a per-device basis, making a maximum total of 40 screenshots that can be added to the App Stores per app. Before the change, developers were restricted to five screenshots per device category. Doubling the number of images available to view may help developers give potential users more of an idea of how the app will work, such as by showing more individual features, or in the case of games, more levels, characters, or environments. Developers are still able to submit 30-second videos previewing an app alongside the screenshots in the app stores. While the image limit has increased, the video previews amount remains at a maximum of three clips. Search results will continue to show the first three images of an app's gallery, when no app preview clip is available. 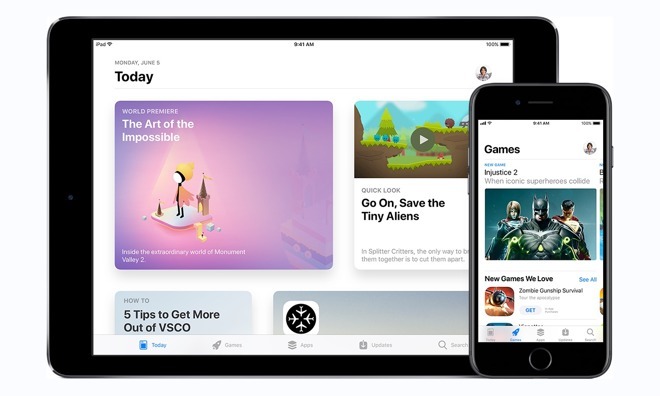 Apple advises developers to make sure the first three viewable images "highlight the essence" of the app, due to their potential appearance in searches.